Once upon a time, hybrid tablets were derided as mediocre machines that didn’t excel in any one area and weren’t worth the money. What a difference a few years makes. Nowadays, hybrids are just as capable as standalone tablets and are quickly becoming the norm. Even cheap models are wowing critics and consumers. The new Chuwi HiBook 10.1 is one such budget hybrid worthy of consideration. At first glance, one could easily mistake the Chuwi HiBook 10.1 for an Apple machine. Its slick metal body, metallic grey hue and clean lines make it a dead ringer for the iPad. Weighing in at just 522 grams, it feels light in the hand in spite of the sturdy build quality. The 1920×1200 10.1-inch display boasts excellent resolution that should satisfy the typical user. Thanks to an efficient yet zippy Intel X5 Cherry Trail Z8300 Atom CPU and 4G of RAM, the Chuwi HiBook is a surprisingly powerful device. With 64GB of on-board Flash memory and room for 128GB more via the TF card slot, you shouldn’t have problems storing tons of big media files. You’ll also get 2.0MP and 5.0MP front and rear cameras and dual speakers. Easily the biggest selling point of the HiBook is its dual-boot OS configuration featuring Android 5.1 and Windows 10. Both operating systems are about as stock as they come, which is a plus since third-party bloatware doesn’t mar the experience of using either. If you want to get the most out of these two stellar OS options, the add-on $60 docking keyboard is highly recommended. Like just about every other budget tablet on the market, the HiBook comes with 802.11 Wi-Fi and Bluetooth 4.0. On the port and connectivity front, there’s HDMI, Type C USB 3.0 and a dock featuring a full QWERTY keyboard with a solid trackpad. Speaking of which, the dock/keyboard throws in another full-size USB 2.0 port for added peripheral connectivity if you use up the tablet’s topnotch slots. Whether you’re running Windows 10 or Android 5.1, the Chuwi HiBook manages to outperform nearly every other tablet in its price range. By keeping applications to a minimum in Windows, you won’t notice any lag. If you run Geekbench 3.0 while booted into Android, you’ll see a score of roughly 2,200. The HiBook’s 6,600mAh battery should provide up to 7 hours of life under stressful conditions. The HiBook 10.1 is one of the best hybrid-focused tablets around for the money. It’s well built, it runs like a dream and it’s very affordable. Even the superb keyboard dock is priced to move. With the HiBook, you can have a laptop-like tablet for under $270. The only “downside” is the lack of brand name cachet, something that most buyers in this price range don’t care about. 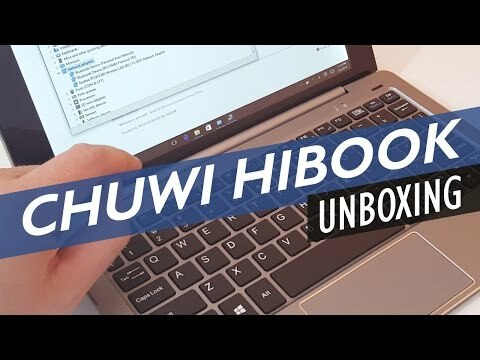 If you prefer Android 5.1 for web browsing and apps but need Windows for business purposes, the Chuwi HiBook is for you. If you need a tablet hybrid with a solid keyboard, the Chuwi HiBook is for you. If you don’t like paying too much for a decent tablet, the Chuwi HiBook is for you. Long story short, the HiBook is a tough deal to pass up.